I’m sure we all suffer at times from selective hearing! We hear what we want to and manage to totally miss, or certainly not absorb, those things we don’t want to. This is a stunning story if we let it be. The simple, but by no means simplistic faith and obedience of a child. 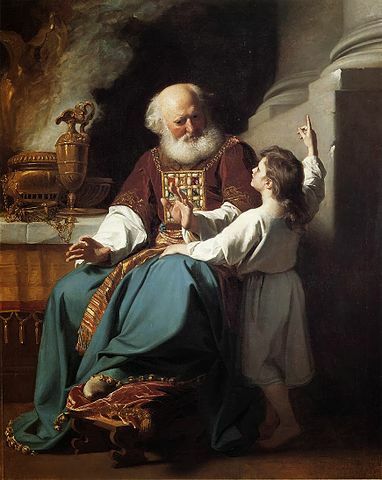 3 1-2 Samuel served the Lord by helping Eli the priest, who was by that time almost blind. In those days, the Lord hardly ever spoke directly to people, and he did not appear to them in dreams very often. 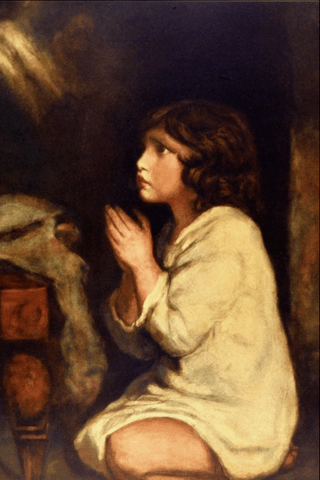 But one night, Eli was asleep in his room, 3 and Samuel was sleeping on a mat near the sacred chest in theLord’s house. They had not been asleep very long 4 when the Lord called out Samuel’s name. Samuel was listening, carefully. He slept that sleep with one ear open in case you are needed, the kind of sleep that all carers know about, ready to spring at any moment. Maybe it is because he is listening, he hears a voice, a call, his name. He leaps up, assuming it to be Eli, and goes straight to see what he wants. Three times this happens, until the penny drops and Eli suggests to Samuel that it is God, and next time he is called to ask what God is wanting of him. Samuel is waiting for God to speak. And God does. Am I waiting for God to speak? Am I ready to respond when he does? Am I attentive? Or am I busy with my own agenda and activity that I can’t, or don’t, hear what God is saying? Can I be prepared, still, put myself in a place where I will hear his call? Will I? But before we get carried away in the romance of it all, we need to read on (though once again the lectionary tries to leave out the ‘difficult’ bits, verses 11-20 are only an additional option). Samuel, I am going to do something in Israel that will shock everyone who hears about it! 12 I will punish Eli and his family, just as I promised. 13 He knew that his sons refused to respect me,and he let them get away with it, even though I said I would punish his family forever. 14 I warned Eli that sacrifices or offerings could never make things right! His family has done too many disgusting things. 19 As Samuel grew up, the Lord helped him and made everything Samuel said come true. 20 From the town of Dan in the north to the town of Beersheba in the south, everyone in the country knew that Samuel was truly the Lord’s prophet. The message God had for Samuel, and for Samuel in turn to deliver to Israel was a shocking one. In fact it was going to be particularly traumatic for Eli, the man who cared for him and who he in turn cared for. Allowing God to speak in and through us is not always comfortable. Some times unpopular truths have to be told. And that can be painful. Fortunately Eli heard it. He recognised that it was God speaking and that what God said was true, but that can’t have made it any easier for Samuel to share it. Being entrusted with God’s word is an awesome responsibility. It can be truly scary, but it is what God does. He speaks in and through his people. If the message seems at odds or painful, I need to be very careful that it is what God is saying and not my own opinion; but when God asks to speak, we do him a disservice if we don’t listen and pass on the message. and not what I want to hear. in what you entrust to me.